My wife and I retired in September and October of 2018. 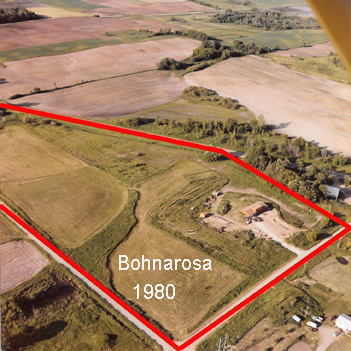 After 37 years we sold our 17-acre hobby farm, and purchased a very tall RAM 2500, and a 30-foot travel trailer. With no specific destination in mind we first went to South Dakota, and set up residency. We also contracted with a mail service company to handle our mailing needs. This new, get rid of the stuff life style, is like before needing and buying a lawn mower. NICE!! Deb is the activities director and facilitator, I’m the support person and driver. It is not always easy to hear from God. We listen and try to live out Christianity. It took years to get too where we are. It’s fair to say we are “Crock pot” Christians. Bohnarosa and Yesteryear stories Note: I set up these categories with the intentions of having something to do in-between adventures. I yet have had no time for reflection. Friday Fictioneers – I loved participating with this group. Each week a photo prompt is posted, and in 100 words or less you write about it. A number of writers gave me helpful feedback. Friday Fictioneers is the extent of my formal writing education. I admit to being a school day slacker student.